At your initial visit, you and your surgeon may agree that surgery is the best course of action for you. In some cases, the surgeon may want to consult with other specialists before making a recommendation. You may also want to consult with your primary care physician before making a decision to proceed with surgery. When you and your surgeon are both in agreement that surgery is your best choice, you will be scheduled for a date and time. Once your surgery is scheduled, you’ll ask your primary physician or cardiologist to “clear” you for the procedure. That’s how we ensure that you are healthy enough for surgery, and it helps us make sure we have all the information we need about your health. We may ask for other consultations prior to your surgery. We’ll always explain to you why we need these consults and clearances – your well-being is our first priority. Our office will help schedule you for the necessary laboratory and other tests you may need before your surgery, including blood work, a urine specimen, an electrocardiogram (EKG), and a chest X-ray. We prefer it if you complete this testing here at the hospital, in the pre-admission testing area on the third floor, but you may be given prescriptions to do this at your primary doctor's office if you wish. You will receive pre-operative instructions from your surgeon’s Nurse, Nurse Practitioner, or Physician Assistant. You will also receive an instruction sheet about what to expect after surgery. You can review these instruction sheets with the Nurse, Nurse Practitioner, or Physician Assistant if anything is not clear to you. Feel free to ask us any questions you have – we want to make sure you understand the instructions and that you go into your surgery well prepared and fully informed about the procedure and your recovery. The surgical coordinator will check with your insurance company regarding fees, co-payments, and any necessary pre-authorizations. You will be notified of this information before your surgery – be sure to ask about it at the time your procedure is scheduled, so there are no surprises later. If you become ill before your surgery date, or if you develop any new symptoms, make sure you speak with a Nurse, Nurse Practitioner, or Physician Assistant. We may reschedule your surgery for a different time if you have a fever, flu, or other illness that might affect your recovery. Many procedures are done on an outpatient basis, and you will be able to go home the same day as your surgery. 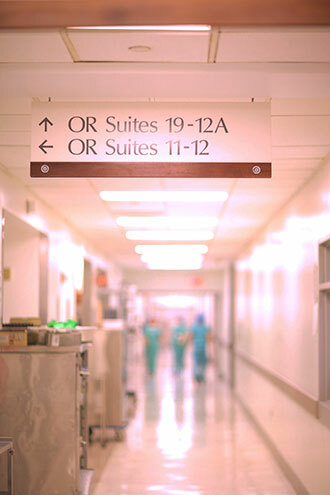 Your surgical coordinator will tell you what time to arrive, and approximately what time you should be able to go home. You’ll want someone with you to accompany you home after your surgery. Please be sure to ask any member of your healthcare team if you have further questions about your upcoming surgery. We are always happy to help!